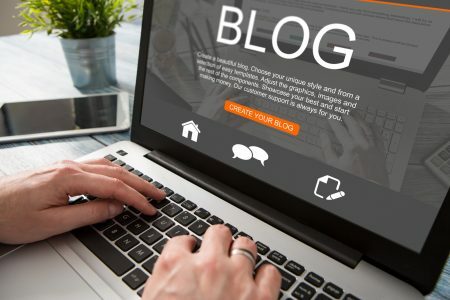 Blogging has quickly become one of the most popular ways to communicate with customers. It is a great way for your company to express a more creative side while still sharing useful information with others. For some, blogging may seem daunting at first. Follow the tips listed below to get a jumpstart on creating captivating content for the upcoming year. Pick your topic. This first tip may seem pretty obvious but it is definitely the most important. Your blog should be related to the product(s) or service(s) you provide. Make sure to pick a topic you truly enjoy and you can generate a lot of content from. Pick a platform. If you have hesitated in the past to start a blog because of cost, there are plenty of platforms that won’t cause you to break the bank. WordPress is a very popular choice because of the simple interface (plus it’s free!). Decide the frequency in which you will post. When you first start blogging it may be tempting to post all the time. But, the novelty of your blog may wear off and your excitement will fade. Overall, it is best to stay consistent and blog about once a week or every other week. Quality over quantity. Craft your content wisely. Your blog is a chance for your company to illustrate your expertise in whatever products or services you offer. A great company blog draws in readers with useful content. If you don’t find your blog interesting, how can you expect your audience to? Greenberg Communications has years of experience creating blogs for a wide array of topics. Give us a call and join our long list of satisfied clients.